It was a normal Friday on March 8th 1985 for the residents of the suburb of Bir Abed in the south of Beirut, prayers had been taken at the Imam Ali Reda Mosque and the men, who pray before the women, had returned to work whilst the older boys went back to school. The women and their children had finished their prayers and were making their way home when the blast hit. The car bomb, planted outside the mosque and close to the home of Sayyed Mohammad Hussein Fadlallah, the alleged founder and spiritual leader of Hezbollah killed eighty three and injured two hundred and eighty three. Fadlallah, who had been teaching religious studies to women was detained by one woman’s questioning thereby missing the assassination attempt by minutes. At the end of the previous year the Reagan administration was furious at the collapse of the Israel-Lebanon Agreement which both the US and Israel sought to blame the newly formed Hezbollah and the Syrian leader, Hafez el Assad for. By the mid-eighties Hezbollah was one of thirty or more militia groups which were operating within Lebanon and Reagan and CIA Director William Casey were looking for someone to blame for the 1983 bombing of the US embassy in Beirut. 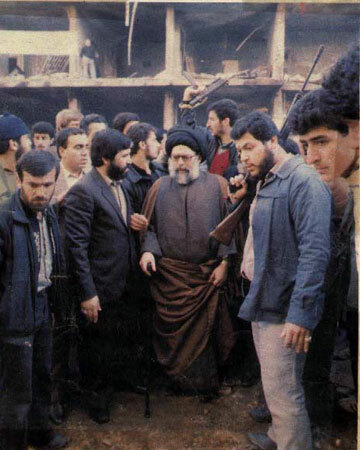 Hezbollah and Fadlallah fitted the bill, the Israelis had no firm intelligence on Fadlallah’s involvement but Casey was too consumed with revenge to look for proof. Casey had earlier argued and won his case for fighting car bombs with car bombs and when Israel pin pointed Fadlallah as suspect number one the Americans launched a covert operation to assassinate him. The ‘Foreign Work and Analysis Unit (FWAU) was created by the CIA using Lebanese agents trained by both the CIA and former SAS officers with funding via Saudi Arabia to target key suspects of militia groups and in doing so create turmoil within the capital. The theory was that the Americans could then convince religious leaders to support the failed agreement with the Israelis, but Lebanese cooperation was not forthcoming and Fadlallah was thereby targeted for death. The sheer scale and horror of the bombing sent shockwaves around the world, it has been alleged that Reagan had offered Sheik Fadlallah millions of dollars for his charity funds as long as he did not reveal its source, Fadlallah refused to accept the blood money and six months later the newly built American embassy in Beirut was attacked killing twenty three staff and visitors. In my substantial collection of memoirs and writings on the CIA and by key members of the administration at that time there is virtually nothing mentioned about Bir Abed. The complexity of the Middle East issue is too vast and deep for here but a point of principle should not be lost. Terrorist acts are deplorable and should be universally deplored regardless of who is the perpetrator and when the Americans dictate their disgust at other countries for using it to further their own political gains then a degree of retrospection should be called for. 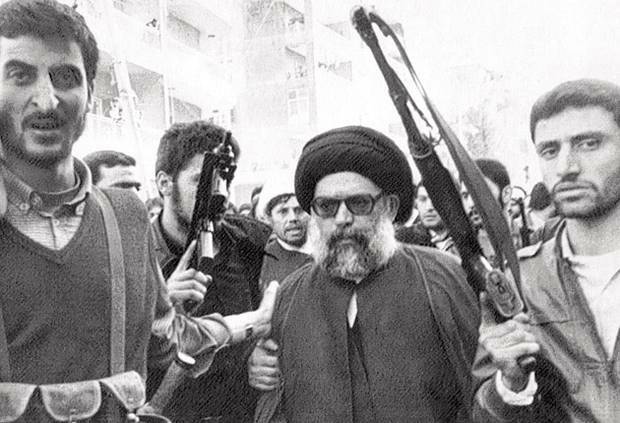 The CIA took the word of the Israelis at face value with no evidence that Fadlallah, one of the most respected and influential voices in the area was complicit in any bombings against them. Following 9/11 Fadlallah spoke out against Al Qaeda stating that “We must not punish individuals who have no relationship with the American administration or even those who have an indirect role” In his book ‘Making the Future’, author Noam Chomsky cites this bombing as well as many other covert US acts as reason for the growth in popularity for Bin Laden’s group and it is hard to argue when so many lives were affected by America’s negligence. The size of the car bomb was always bound to kill more than it needed to and what real gain could ever have been expected from it? Retroculturati has no truck for terrorist groups of any nation or religion but rather a deep disgust for the loss of innocent lives caught up in religious and political disputes they never asked for. The Americans have a long history of fatal blunders in foreign policy and no child’s death should be considered as collateral whatever the circumstance. Ten years on from Vietnam they had, it seems, learnt nothing.